Japan’s renowned manga culture is facing a crisis. The spread of smartphones and tablet computers allows people to read e-comics anywhere at any time. According to the Research Institute for Publications, annual sales of digital comics last year grew 17.2 percent from the previous year to ¥171.1 billion, surpassing sales of their printed brethren for the first time. But this digitalization has also cast a shadow on the heart of Japanese pop culture. Amid the increasing e-comic readership, some free-riders let visitors read pirated manga online without charge while they line their own pockets with advertising revenue. One of the most notorious manga pirate websites in Japan drew a whopping 174 million visitors in the month of March, making it the 25th busiest website in Japan, according to web analysis tool SimilarWeb. The number was a dramatic increase from the 690,000 visitors it attracted in September. The rapid growth of piracy websites has prompted publishing houses and the government to campaign against piracy, hoping to protect one of Japan’s famed cultural export items. But so far no silver bullet has been found. Why does manga piracy matter? Manga creators aren’t being compensated fairly because no royalties are paid for content that is distributed without the consent of the copyright holders. 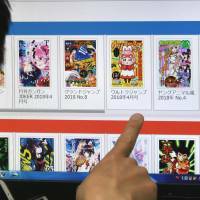 A Tokyo-based manga creators’ group, Manga Japan, has expressed concern that the comic book industry may eventually perish if manga piracy continues unabated on the web. While some legitimate services let visitors read e-comics for free, they are contracted to pay royalties to creators, unlike piracy websites, Manga Japan says. The group is urging readers not to access such websites. Piracy websites “only care about making money. They don’t care about how they will affect the future of manga creators. They are not manga fans. They are just exploiting it,” the group said in a statement. Damage done by pirated comics to the domestic manga market may have reached ¥50 billion, according to research commissioned by the Ministry of Economy, Trade and Industry and released in 2014. The damage in the U.S. was even more severe: An estimated ¥1.3 trillion may have been lost to piracy. Isn’t it illegal to spread pirated copies? Uploading illegal copies obviously violates copyright law. But cracking down isn’t so easy, says Orie Kishimoto, counselor for the Cabinet Office’s Intellectual Property Strategy Headquarters. Japan’s most notorious piracy website takes the form of a “leech site,” which aggregates links to manga, music, videos and other computer files uploaded on other websites, she said. Such websites often claim they don’t violate copyright law because they neither upload the files themselves nor have illegal copies on their own computer servers. But last October, police arrested nine people on suspicion of violating copyright laws by running a website containing links to illegal copies of content. Another difficulty lies in identifying who runs the malicious websites and where they are located, making it difficult for copyright holders to file a lawsuit, Kishimoto said. One notorious piracy website claims it is breaking no laws because its management body exists in a country “which doesn’t have diplomatic relations” with Japan and therefore this nation’s copyright protection doesn’t apply. In addition, copyright law cannot be used against people who read or download pirated comics online. The current law applies to downloading illegal copies of music and videos, but it does not apply to image files like manga. “Although we can’t say what you are doing is illegal, people (who read pirated copies) should realize that you are hurting manga creators and destroying a significant base of Japan’s prized manga culture,” Kishimoto said. Are there any effective countermeasures? The government has taken a number of measures, but “no definitive solution has been found,” Kishimoto said. The Ministry of Economy, Trade and Industry launched a joint campaign last month with China and South Korea to urge people not to access pirate websites. But “it’s difficult to make people listen to us without naming actual illegal websites. If we do, that would make more people learn about such websites and, as a result, more people may access them. That is a difficult part,” Kishimoto said. 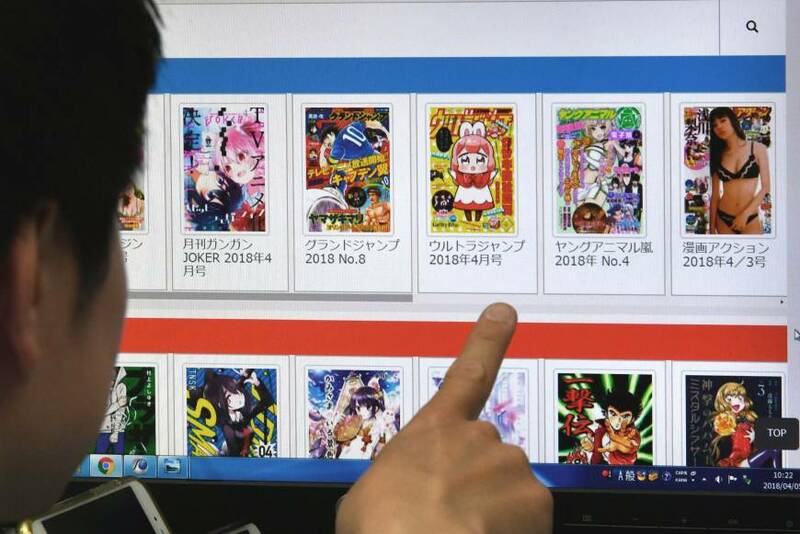 With no solution in sight to eradicate manga piracy, Chief Cabinet Secretary Yoshihide Suga said last month that the government will consider more proactive measures, including blocking access to pirate websites. Kishimoto said the government plans to announce a new strategic program on protecting intellectual property in May, which may include “some new measures” to combat piracy. A similar debate on internet freedom occurred in the U.S. over the Stop Online Piracy Act (SOPA), which triggered protests by some major websites such as Google and Wikipedia in 2012.